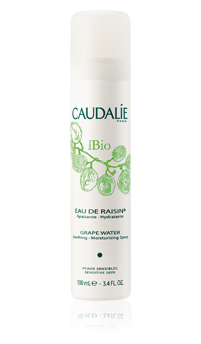 Caudalie makes some fantastic products, and their Grape Water is no exception. I have dry-combo skin, and I love using this spray to prep my face for my serums in the AM and PM. It is very hydrating and really helps my skin absorb my serums and creams. I also apply this before using masks when they need to be applied to wet skin. I find the scent to be disgusting, but it only lasts for a few seconds. It is a very cheap spray that will help your skin in ways you couldn't even imagine. This spray is great for a quick refresher in the afternoon. I have used it everyday for more than 25 years. Great way to hydrant your face naturally. I buy it from Sephora, but can be found in many shops. It is made in France, yet very inexpensive to buy over here. Try it - it really works!! !